Born in 1963, Mohamed Ibrahim Al-Beltagyis a leading member of Egypt’s influential Muslim Brotherhood (MB) movement and secretary general of the Freedom and Justice Party, the MB’s political arm. 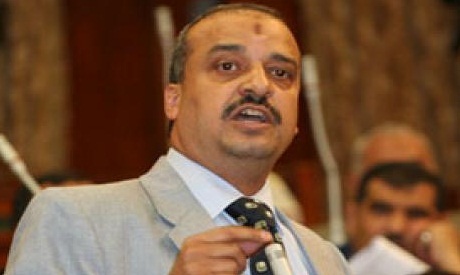 A medical doctor by profession, Al-Beltagy served as a Brotherhood Member of Parliamentfrom 2005 to 2010. During his tenure as an MP, he forcefully challenged the government’s performance on numerous issues, including a controversial ferryboat accident, the bird and swine flu, real estate taxes, and skyrocketing inflation. As a teenager, Al-Beltagy explored Egypt’s multifarious political trends, attending events held by different parties and groups, including those of left-wing and liberal orientation. At the age of sixteen, he decided to join the MB. “I joined the Brotherhood because I felt it was a project that could contribute to the development of the countries of the region after years of decay,” Al-Beltagy has been quoted as saying. Al-Beltagy studied medicine at Al-Azhar University’s Alexandria branch, where he was a leading figure in student union politics. Along with pursuing student activism, he excelled academically until he graduated with a degree in medicine in 1988. Following graduation, he was denied a position at the university due to his political activities, although he was given a position four years later following a court order to this effect. His first political role came upon his successful election to parliament in 2005 for Cairo’s Shubra Al-Kheima district, when his stances on various issues – especially education—brought him to prominence. Al-Beltagy has since served as the MB’s representative in a number of political initiatives, including the National Association for Change,reform campaign, and Gaza-bound aid flotillas. Al-Beltagy has also expressed his openness to dialoguewith other political trends and international players. Al-Beltagy participated in Egypt’s January 25 Revolution from its very first day – 25 January– despite an initial decision by the MB leadership not to officially endorse the uprising. Throughout the course of the eighteen-day uprising, Al-Beltagy was an active participant in the historical events taking place in Cairo’s Tahrir Square. Four months later, he took part – again, on an individual basis – in the 27 May demonstrations(dubbed the “Second Revolution of Rage”), despite a decision by MB leaders to refrain from participating. In Egypt’s 2005 legislative elections, in which the MB captured an unprecedented one-fifth of the assembly, Al-Beltagy succeeded in winning a seat in parliament. For the next five years, he served as leading figure in the MB’s parliamentary bloc, which had the distinction of being the largest opposition bloc in the People’s Assembly. Al-Beltagy ran for re-election in the 2010 parliamentary races. He withdrew from runoff elections, however, following an MB decision to pull out of the contest altogether due to widespread reports of electoral fraud by Mubarak’s ruling National Democratic Party.